Many people see their hair as an extension of their identity and character, which is why hair loss can be a significant blow to your self-esteem. Hair loss can also dramatically change the perceived shape of your face. 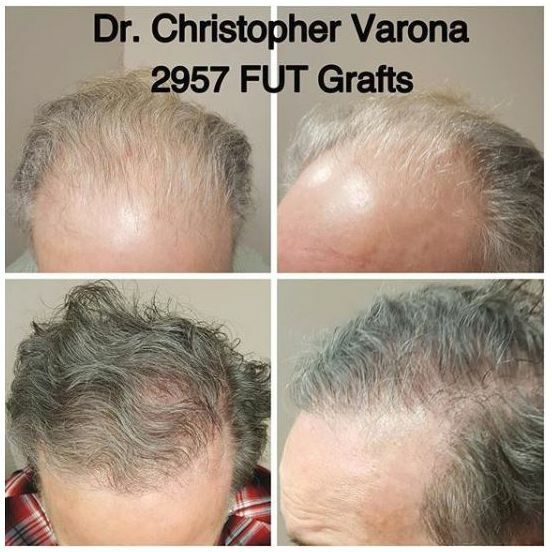 With FUT hair restoration surgery, Dr. Christopher Varona can restore your confidence and youthful, vibrant appearance. 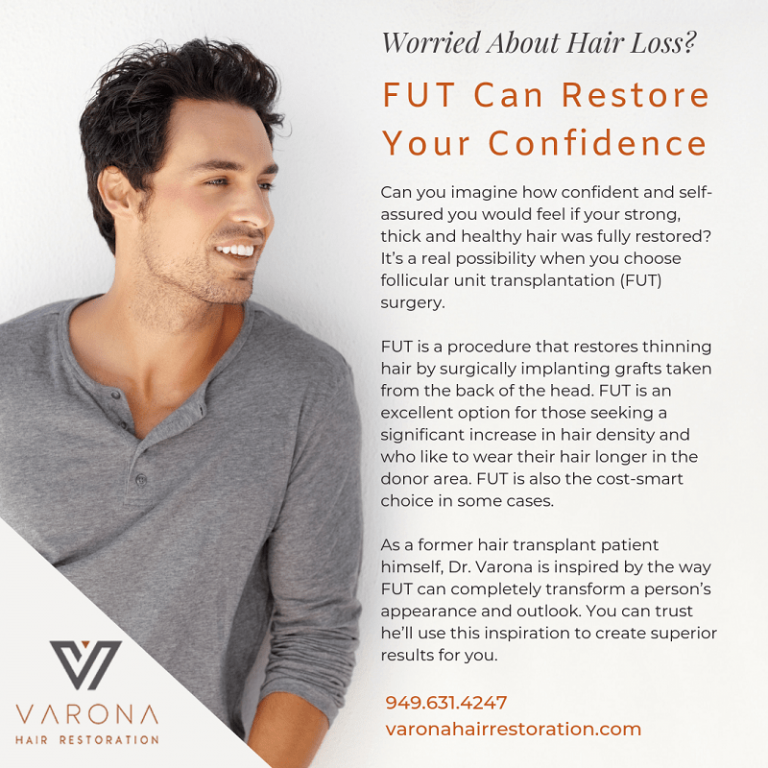 As one of the leading hair surgeons, Dr. Varona has helped thousands of patients regain thick, healthy hair through follicular unit transplantation. His meticulous technique ensures natural-looking results for both men and women experiencing hair loss. Follicular unit transplantation begins with prepping the harvest site and mapping out the treatment plan on the scalp. The hair is then shaved to about beard stubble length in the harvest area. The entire head does not need to be shaved and, for patients who wear their hair long, the donor area is easily concealed. After numbing the harvest site with local anesthesia, Dr. Varona uses a scalpel to remove a thin strip of tissue (measuring about 1.2 – 1.3 cm wide) from the back of the head. The area is carefully sutured to reduce the appearance of the resultant scar. Dr. Varona uses trichophytic closures whenever possible to further reduce scarring. It typically takes around 30 minutes to perform this step. The removed strip of tissue is examined under a microscope, so the grafts can be carefully extracted and counted until the desired amount has been removed. The harvested area is typically re-anesthetized along with the recipient area to ensure patient comfort. Dr. Varona then uses specialized tools to make small punctures into the scalp, which is where the grafts will be placed. This highly complex step is a crucial part of the overall process, and Dr. Varona takes great care to control the depth and angle of the graft sites. This ultimately determines how the hair will grow. Dr. Varona’s meticulous approach allows the results to blend in naturally with the surrounding hair. Once the recipient area is fully prepped, Dr. Varona’s team places the grafts into the transplant sites. FUT is an excellent option for most patients who are seeking a long-term solution to hair loss. It is an especially attractive option for women experiencing hair loss because only a small portion of the hair needs to be shaved. Depending on the extent of your hair loss, you may want to start with a conservative approach, like medication or PRP therapy. Many patients have experienced excellent results with these treatments, especially when started in the early stages of their hair loss. These treatments can also be combined with restoration surgery for optimal results. At your consultation for FUT in Newport Beach, Dr. Varona will help you explore all available options. Taking into consideration your concerns and ultimate cosmetic goals, he will provide you with a customized treatment plan. This patient had significant thinning throughout the top but wanted a stronger frame around his face and the ability to style his hair in new ways. The after pics are at 8 months and we’re both very pleased with his results already! This patient had 2 FUT procedures totaling 5000 grafts throughout the front and crown. After pics are 1 year after second procedure. Patient will be returning for additional grafts to the the hairline. 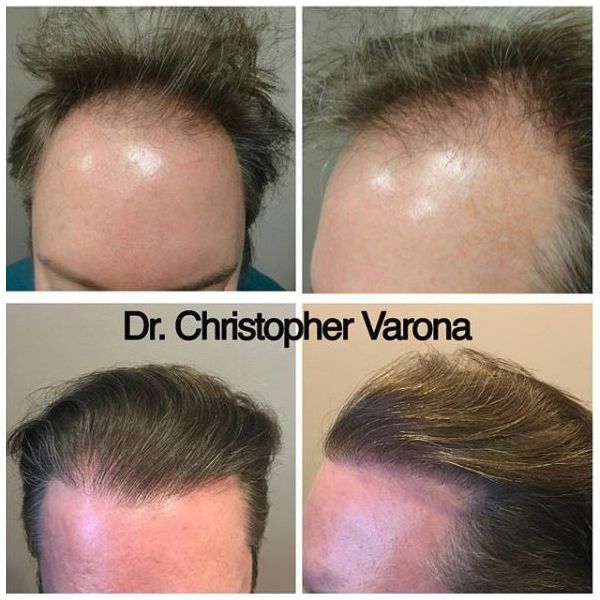 Dr. Christopher Varona has spent the last decade perfecting his accuracy, surgical techniques, and artistry with the leading hair transplant procedures. He is excited by the challenge each patient presents, and he truly enjoys helping people regain their confidence through hair restoration. 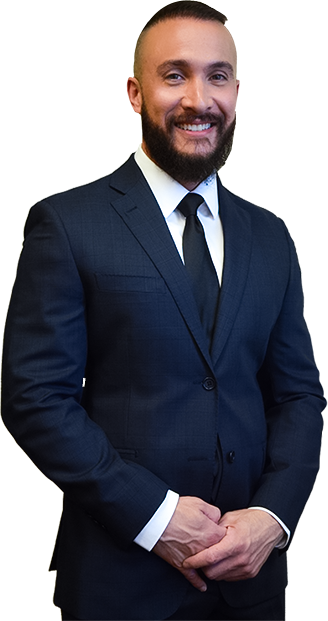 As a former hair transplant patient himself, Dr. Varona is inspired by the way these procedures completely transform a person’s outlook. He draws on this inspiration to consistently create superior results. Dr. Varona takes responsibility when helping patients reach their cosmetic goals, which is why he performs the graft extractions himself, rather than relying on technicians or robot-assisted technology. His excellent surgical skill has earned the trust of celebrities and other high-profile professionals; he continually strives for excellence by keeping pace with advancements in the field. How Long Does FUT Surgery Take to Perform? Follicular unit transplantation is generally an all-day process. Patients begin at around 8:00 a.m. to fill out required paperwork. They then have a pre-surgery consultation to go over the treatment plan and discuss the details of the procedure. Once the surgery begins, it typically takes about 30 minutes to remove the strip of tissue. After this step, the patient is free to relax for a while or break for lunch. Meanwhile, Dr. Varona and his team will examine the tissue under a microscope and dissect the grafts. When the patient is ready, and the grafts have been counted, the recipient area is fully prepped by Dr. Varona. Grafts are then placed into the implant sites. Most FUT procedures are completed between 5:00 p.m. to 7:00 p.m., but this will vary from patient to patient. Follicular unit transplantation typically does not require a lengthy recovery period. Most patients experience moderate discomfort around their sutures for the first few days. It’s common for patients to have swelling, but this usually starts to subside after the third day. Within one week to 10 days, scabbing will form. Patients typically resume their regular daily activities after a few days, but strenuous physical activity should be avoided for at least a week. Dr. Varona has patients return the next day for a follow-up appointment. This visit will include a hair wash and tips for how to further care for the treated area during the healing stages. Patients are asked to return for an additional appointment a few weeks later, followed by a 6-month checkup and a 1-year checkup. What is Scarring Like After FUT surgery? FUT surgery leaves a thin linear scar on the back of the head. In many cases, the line will be concealed by the hair. It is only visible if the patient wears their hair very short. Dr. Varona also utilizes trichophytic closures to reduce the appearance of scars.